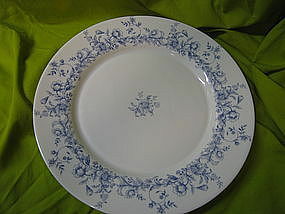 Dinner plate measuring 10 3/4 inches. Some utensil wear. Several are available and priced is based upon condition. I need your zip code to calculate the postage.